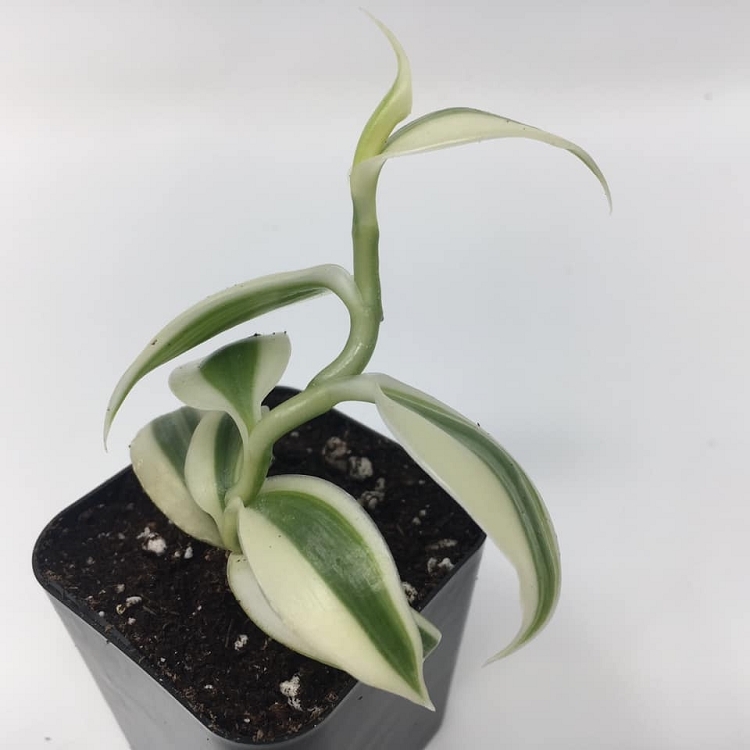 Vanilla planifolia variegata - Variegated Vanilla Orchid. 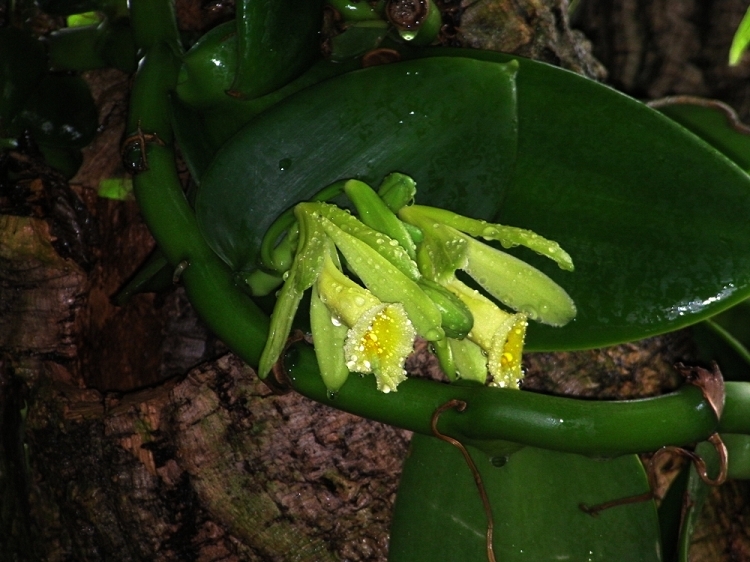 A great vining orchid with thick, waxy stems and leaves. Although it can grow large it is slow enough that it can be maintained in almost any size terrarium. If you want to grow your own Vanilla then give it LOTS of space and warm, humid conditions and in a few years you can get your very own bean! Available plants are approx. 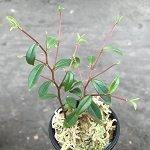 potted in a 2" pot and are 3-4" long with 1+" leaves.